Starting a new business can be daunting and full of insecrutities. Not only do you have to contend with the business side of things and making it work but you also have to consider your income and what money you will have coming in as you get started. A new business takes time to establish, requires patience and hard work to get things off the ground. Yet at the same time you need to finance your new venture and also pay the bills. I my first year in business I was so dedicated to making it work. I was passionate about this new little business of mine and gave everything I had to making it success. It wasn’t easy and I know from other photographers that it can take years to become established. I was able to book 28 weddings in my first year of business and would like to share with you over a couple of blog posts what I did to make it work. If you ask any photographer what they did at the start of their business to make it work, common answers will be paid advertising and shooting friends weddings. Whilst these are both true and can be valuable, I feel there was more to it than that that helped me to succeed. of course I tried every form of advertising – paid subscriptions to wedding blogs, facebook advertising and magazine advertising. And over the years I have scaled it all back to wedding blog subscriptions. Previously they have always worked well for me but now are becoming so saturated it is becoming difficult to stand out. However, for me the biggest boost by far to my business was my blog and how I set it up to work for me in being found online. like most wedding photographers, I didn’t work from a studio, so my website was my shopfront and I felt it was important to concentrate my time and effort here. 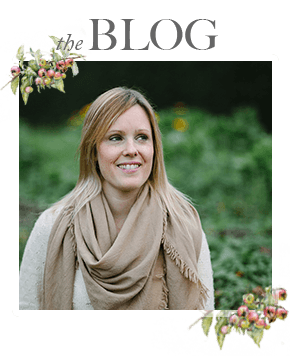 I made a very deliberate decision to blog regularly – mostly twice a week – and build my blog to be be the foundation of my business and highlighting what I had to offer as a wedding photographer. And for me it worked perfectly. I reached my target audience slowly but surely and the time and effort I invested in my blog paid off. Of course at the beginning I didn’t have any real weddings to blog, so I blogged about all things weddings. Wedding dresses I loved, Oscar hairstyles that would work well for brides on their wedding day and even now, some of these posts are still my most viewed blog posts. Then over time as I had real weddings of my own, I blogged less on wedding tips and more on my own photography, with constant material to keep my blog current and new content to keep Google happy! So there you have it, if you are new to the wedding industry, start a blog – help brides out and build a foundation for your online business.